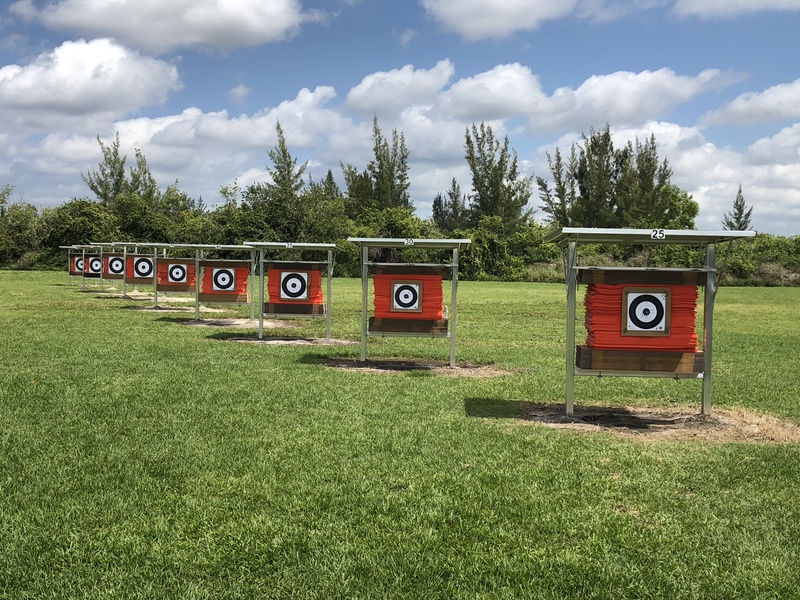 Gold Coast Archers Club, located in Palm Beach County Florida, has flourished for over 20 years. starting from 10 yards out to 100 yards, a Field Course, and a 3-D practice and tournament range. code and year round accessibility from dawn to dusk. We have picnic tables and outdoor facilities. Our practice target range offers a covered canopy for shade while shooting. along with various Regional and State Tournament Shoots. New Flint Range Frames have been installed. Thanks to Rick Dorey for the many hours he invested in their fabrication. Enter Stitch order number (26167) in the customer comment box. Call 1-800-321-5646 with any questions. The Gate Code changes every 3 months. Watch for the Email Notice announcing the change. It is specifically against NFAA rules to draw your bow above horizontal... it's also against NAA rules. The practice of drawing a bow up in the air is unsafe, and many archers do it due to heavy poundage or simply out of bad habit. Pushing the bow out with the bow arm... or better yet, pushing it slightly downward... can assist in drawing it back. One arrow loosed high in the air and killing or damaging property three blocks away can set our sport back for years... much less ruin the day of the individual with the bow and the individual harmed by it!